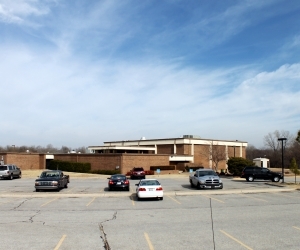 The Yukon Community Center, Jackie Cooper Gym and the Dale Robertson Center offer free membership to Yukon Residents living in the 73099 zip code. Any child attending Yukon Public Schools is also eligible for a free membership. For only $5 per day, non-residents may use the Yukon Community Center or Jackie Cooper Gym. These two facilities offer over 100 programs annually. The Yukon Community Center has a full size basketball court, a game room, weight room and offers meeting rooms available for public use. Programs are offered to elementary age students during school breaks. Other offerings include morning fellowship with Wake Up and Walk, tennis classes, Bunco, Garden Club and many other programs and sports leagues throughout the year. The Learning Connection Preschool is also offered. 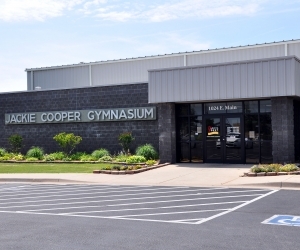 The Jackie Cooper Gym is a popular local athletic venue. It offers two full size courts for basketball, volleyball and badminton. Volleyball and basketball leagues, indoor t-ball, soccer for four and five year olds, pick-up games and many other programs and sports leagues are offered throughout the year. 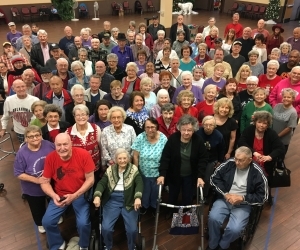 The Dale Robertson Center provides seniors 55 years and older a place to experience a very active lifestyle. Lunch is served Monday through Friday and van services is available to transport participants to and from the center. Over 35 different activities are programmed weekly, including five dance classes, five physical fitness classes, trips, classes in the arts, crafts, board games and cards. The center is available for rentals, small and large, and offers many special events for senior citizens throughout the year such as dances, holiday parties, and more!